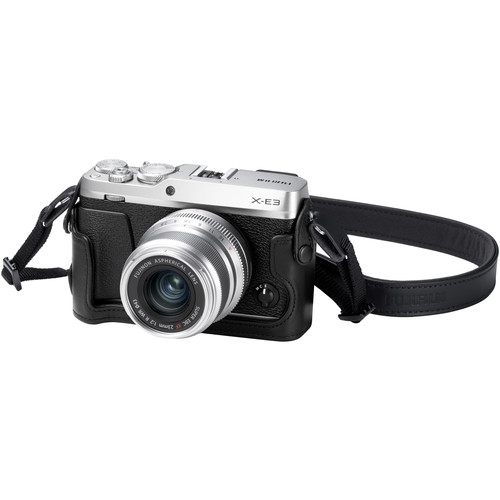 Dedicated to the Fujifilm X-E3 mirrorless camera, the BLC-XE3 Bottom Leather Case helps to protect your camera body while maintaining full camera functionality. 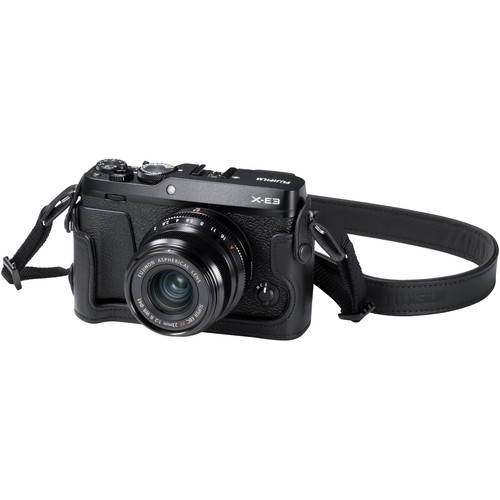 It connects to the bottom of the camera, permits use of a tripod while attached, and retains access to the battery compartment. 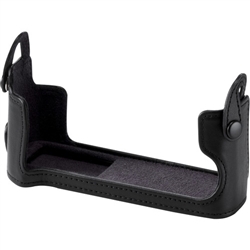 A matching leather shoulder strap is also included, as well as a protective cloth.